Imprint Method: UNIMPRINTED - Be prepared for any situation with this emergency flashlight! This emergency flashlight features a 6 inch wrist strap for added safety and convenience. This flashlight can be used after the batteries die by simply hand cranking to activate. This is the perfect promotional item for police information sessions, fire prevention nights. 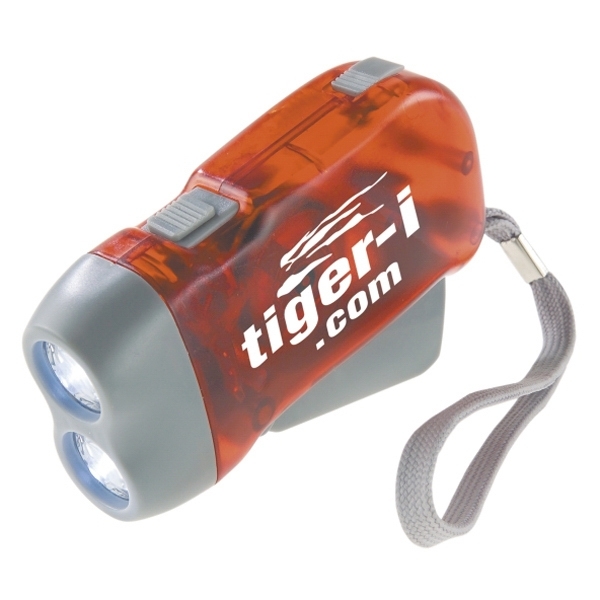 Driver's education students will appreciate an emergency flash light as a gift on the last day of class. 3 AAA batteries included.